Upscaled, sharper vanilla textures using waifu2x. I've upscaled some 512x512> creatures from expansions plus adding/fixing some textures that I missed. 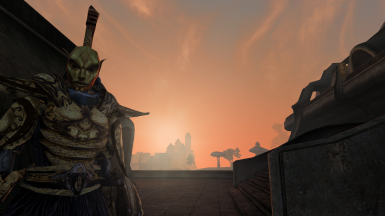 I also added an optional file for those who prefer Sotha Sil to have a more Dunmer-ish appearance that he should have had. Since people are interested in this project, I've decided to finish the rest of the textures. 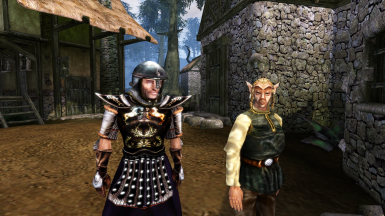 Morrowind is a huge game, so feel free to report any problem you might encounter in your playthrough. Some textures such as effects, UI-related texture still remain the same as vanilla because I don't think they will benefit from the upscale much. Thanks to frosty-theaussie, the whole mod was redone using uncompressed texture source from the Construction Kit, there should be noticeable better quality in textures now. Also added some textures I missed in previous version. Sadly, there are no uncompressed source for texture from expansions so its quality won't be as good as base game textures. I don't use much texture mods because I usually prefer the original aesthetic, unless the original textures are ugly, inconsistent or the retexture has great quality that fits with the game. 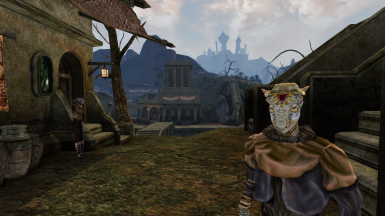 Morrowind's hand-drawn textures are excellent for its time, sadly they are also very low-res. Since the textures were hand-drawn, I've tried to play around with waifu2x and found the result to be beyond expectation. Thus this mod was born. - The textures are simply non-blurry double sized vanilla textures (most are from 256x256 to 512x512), so you shouldn't expect huge differences. The point of the mod is that vanilla textures will be sharper/less blurry when playing with a modern system, it can also serves as a base before you download other retextures. 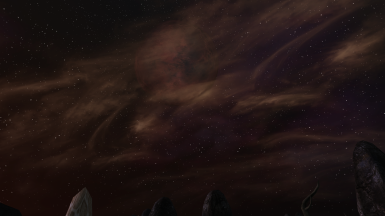 - I also includes skies retexture for people who just want a simpler skies mod, the skies will look "wider" now because it benefits from larger resolution. 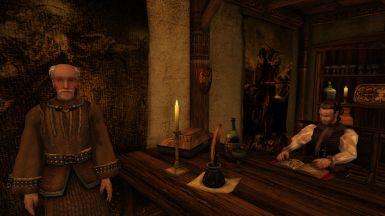 - Technically, there shouldn't be any performance hit, unless you have a truly ancient PC that could barely run Morrowind. - Textures from expansions are covered, however the quality won't be as good as base game because it lacks an uncompressed source.I also included some fixed textures from Purist patch, further patch can be found on Purist patch's optional download section. - Some textures aren't covered because I don't think it would benefit from the upscale that much. 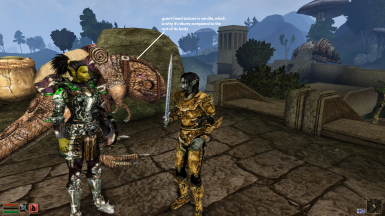 - This mod should be fully compatible with OpenMW. I originally created this mod for myself, 99% of the process was automatic. However, it took me a lot of time to convert and organizing, so I've decided share anyway. 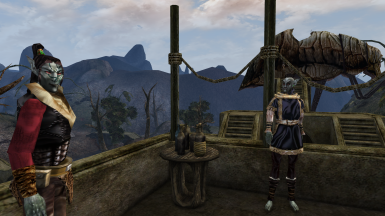 Special thanks to darkelfguy for featuring HD Vanilla Textures in his Morrowind Modding Showcases! Q: Why not 1k, 2k? A: waifu2x is capable of upscale them to larger resolution, but it would be pointless because the conversion will stretch the texture and result in losing details. Here is a detailed explain. Q: Darknut created better retextures that stay true to original aesthetic, why should I use this? 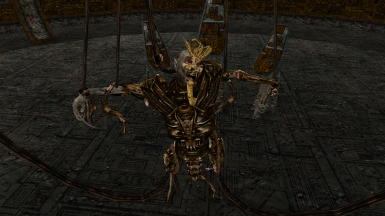 A: I really appreciate Darknut's works, but I think he went overkill with the filter effect, it caused the textures to look way too sharp that they stand out from the rest of the game. Q: I can't see the difference, this mod is pointless! A: I suppose that if you don't pay attention to texture details, this mod won't be necessary. This mod should be compatible with everything as long as you install it before other texture mods. Better Clothes is a special case because it uses different UV and texture path for their meshes. In other words, you can use Better Clothes, but its texture will remain vanilla quality instead of the higher quality ones from this mod. Sadly, to give Better Clothes better texture quality would be similar to recreate the whole texture itself which is very time consuming, so a compatiblity patch is not going to be made by me.